I love these fun Frankenstein treat boxes that Jennie created, but we don't drink Crystal Light in our house, so I don't have any of the fun rectangular boxes laying around. I do think it would be fun to switch out the felt for paper and use this same fun idea to dress up little Pringles cans full of chips for a Halloween party or a special Halloween school lunch. 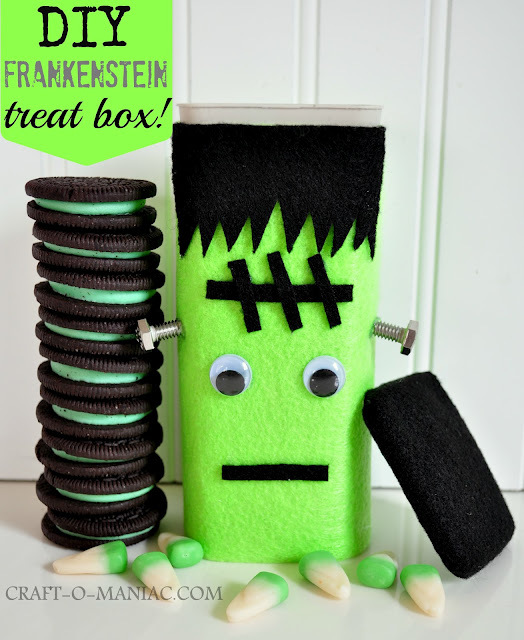 You can check out how to make these fun DIY Frankenstein treat boxes over at Craft-O-Maniac.